Harold Phippen was a talented sculptor; and his brother was George Phippen who helped found the Cowboy Artists of America in 1965. 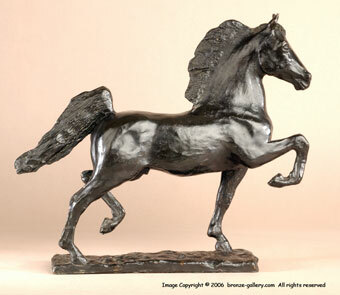 Harold produced some excellent bronzes, and this Hackney Stallion is one of a series of horses that he created in 1948. It was cast in the Phippen Bronze Foundry in Wakarusa, Kansas, in an edition of 30. 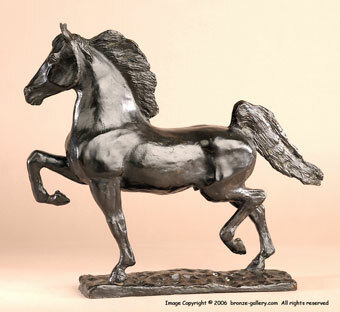 This Stallion is a powerful model, he is shown in full gait with his mane flowing. He is finished in a dark brown black patina.